Among the vital clerical figures in the founding of NCCC were Monsignor William J. Kerby of the Catholic University in Washington, D.C. and Monsignor D.J. McMahon of New York City, who had been discussing the establishment of a national charitable organization with the Vincentians for years. Brother Barnabas, of the Brothers of the Christian Schools in New York, however, provided the essential trigger for the first national conference. 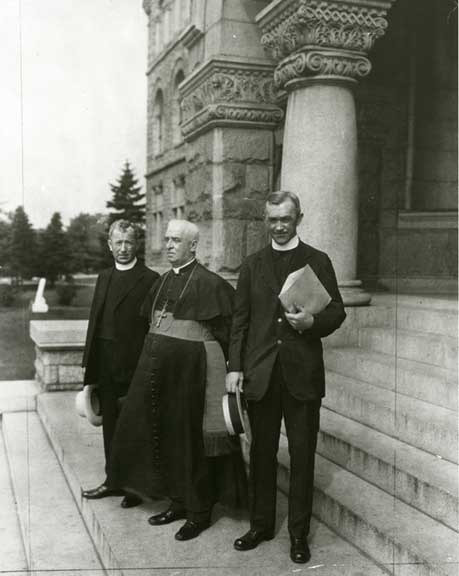 In a letter to Bishop Thomas Shahan, Catholic University Rector, Barnabas suggested Shahan start a "National Conference of Catholic Charities" that would bring together charity workers from across the U.S. Shahan agreed to lead the effort (he would serve as President of NCCC from its founding until 1929) and an organizing group held the first general meeting at Catholic University from September 25-28, 1910. Over the next decade the NCCC grew into an association of lay volunteers, and to a lesser extent, professional social workers and clergy. Catholic laywomen dominated the early membership, while the leadership was comprised of members of the St. Vincent de Paul Society. Kerby's influence on the fledgling organization proved pivotal. Though he served as secretary for only a decade, his application of progressive social work ideas to Catholic charitable practice was original and decisive in the formative years of the organization. Kerby challenged the individualistic terms in which early twentieth century charity was understood, downplaying the idea of poverty as a product of the individual's lack of thrift or misfortune and emphasizing a more systemic view of its origins. The "church's social work is directed more towards effects than toward causes" he noted in 1907, "toward personal action on the individual rather than on social forces; toward the spiritual more than the temporal." Kerby's successor, Monsignor John O'Grady, was more aggressive and strategic in his leadership of NCCC. Kerby was courteous and reticent about his role in the establishment of the national organization, and maintained strong organizational relationships with the early leadership and lay volunteers of NCCC. 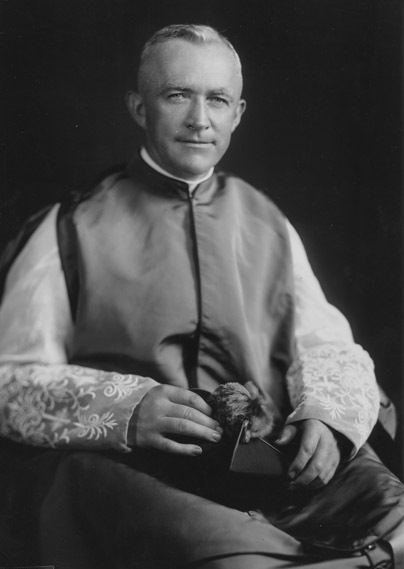 O'Grady, who served as secretary in 1920 and remained at the helm of the NCCC for the next 41 years, sought to extend the influence of NCCC through further cultivation of professional charity workers and the strengthening of the diocesan branches. 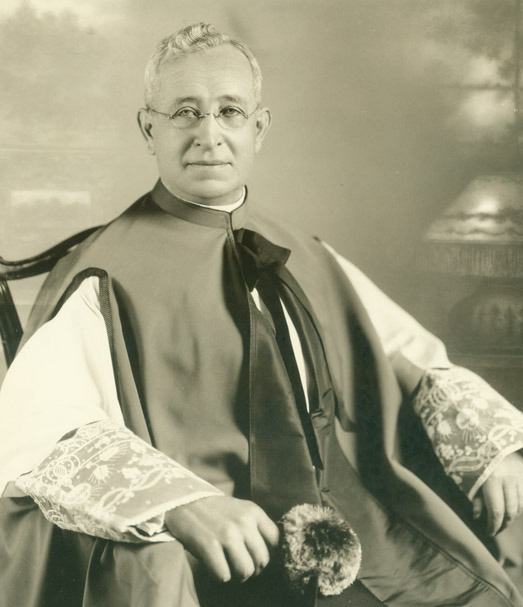 A central figure in the professionalization of Catholic social workers, he promoted the establishment of the Catholic University School of Social Work to train them, serving as its first dean from 1934 until 1938. O'Grady, moreover, actively sought to exercise influence in government where public policy affecting Catholic charity was concerned, meeting with countless government figures on issues related to child welfare, housing, and rural poverty. By the time he left the helm of the NCCC in 1961, the organization was a national force in charity work and offered an authoritative voice in public welfare policy. 1Letter Edmond Butler probably to Thomas Shahan, March 1st, 1910, Shahan papers, Correspondence, 1909-1932, Box 13, Folder 15, American Catholic History Research Center and University Archives (hereafter ACUA), Catholic University, Washington, D.C.; Donald P. Gavin, The National Conference of Catholic Charities, 1910-1960 (Milwaukee: Bruce Publishing, 1962), 7. 2William J. Kerby, "Social Work of the Catholic Church in America," The Annals of the American Academy of Political and Social Science for November, 1907, 473-482, 475-476; Elizabeth McKeown and Dorothy Brown, The Poor Belong to Us (Cambridge, Mass: Harvard University Press, 1997), 63.